"Anything tribal. Africa and Egypt - especially." 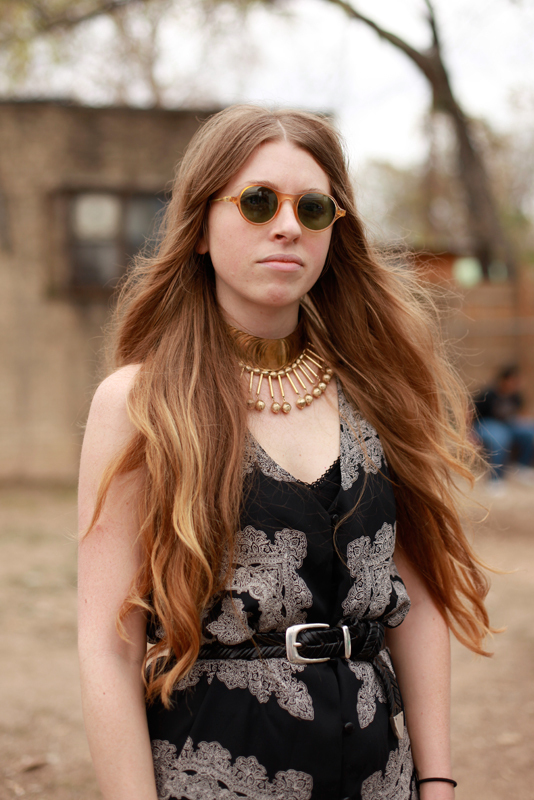 Love this dress, how the print looks almost applique and that wonderful gold neck piece. 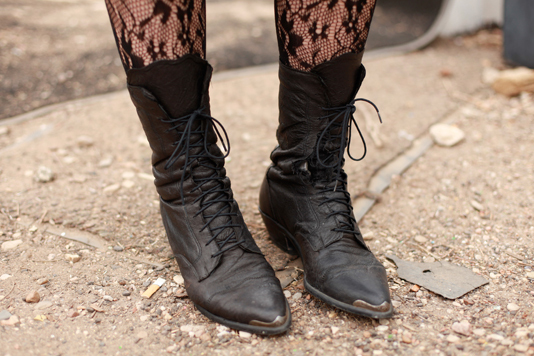 Reinforced-toe boots with lace fishnets.